Black vinyl tubing blocks sunlight from entering the tubing and this restricts algae's growth inside the tubing. 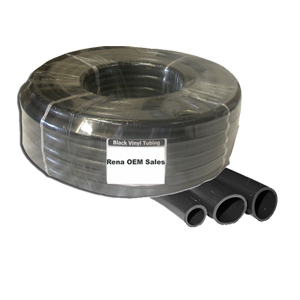 This is the main benefit to black tubing and it is used in many pond and fountain installations for this reason. 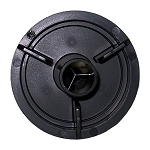 Our black vinyl tubing is fish safe PVC with a high degree of virgin vinyl making it more pliable and resistant to cracking and reduced pliability with age. It is easily cut resists kinking, is fish safe and nontoxic. Use with tubing barb fittings.